The exact number of people affected by lupus in the UK is unfortunately not known. Studies and estimates suggest the figure could be between 15,000 and 50,000; however, it is believed that there are many cases of lupus which are not diagnosed, and so this could be much higher. Lupus can affect any part of the body, causing many different symptoms. Lupus is a disease which can present in many different ways; rarely do two people have exactly the same symptoms, and these can vary in number. Those diagnosed usually receive ongoing treatment to lessen the impact of the many symptoms but there may be side effects. In some rare cases, lupus can be potentially fatal. The weather can affect people with lupus in a variety of ways. Most people with lupus are sensitive to UV light and so have to protect themselves against the sun throughout the year by covering up and wearing factor 50+ sunscreen. Exposure to sunlight can cause photosensitive rashes and can also trigger more general symptoms such as fatigue, headaches and joint pains. Many people with lupus also have an overlapping condition called Raynaud's phenomenon. This is often triggered by cold weather and can cause the fingers and toes to go white and numb. As they recover they turn blue and then red, and can be very painful. Some people with lupus may be at an increased risk of heat exhaustion/heat stroke during periods of hot weather. This can be a result of autonomic nervous system involvement (affecting the body's temperature control), decreased mobility or heart/breathing problems. Due to the bewildering number of ways in which people can be affected by lupus, some express that they feel better during the warmer months and others say that they feel better when it is cooler. Want more support and information about lupus? 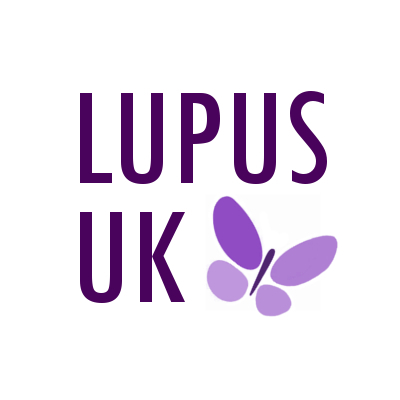 LUPUS UK is the only national registered charity supporting people with lupus and assisting those approaching diagnosis. We produce high quality information for patients, carers and medical professionals, raise awareness of the condition amongst the public and medical profession and fund lupus research and specialist lupus nurses in a number of hospitals around the UK. LUPUS UK is here to help all those affected by lupus. For information, advice and support call us weekdays 9am to 5pm on 08456 011 033, email us at headoffice@lupusuk.org.uk, or visit our website at www.lupusuk.org.uk.